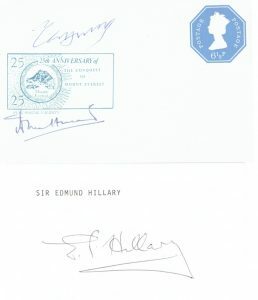 (1961-97) Letter on Buckingham Palace letterhead dated 1981. 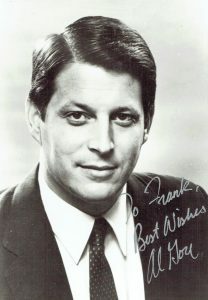 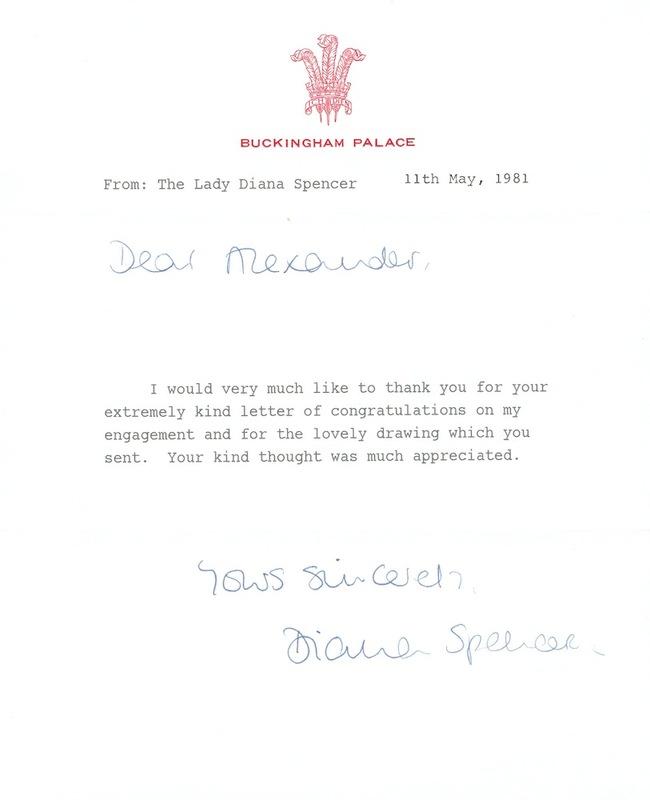 Written to a young boy thanking him for his drawings after her engagement. 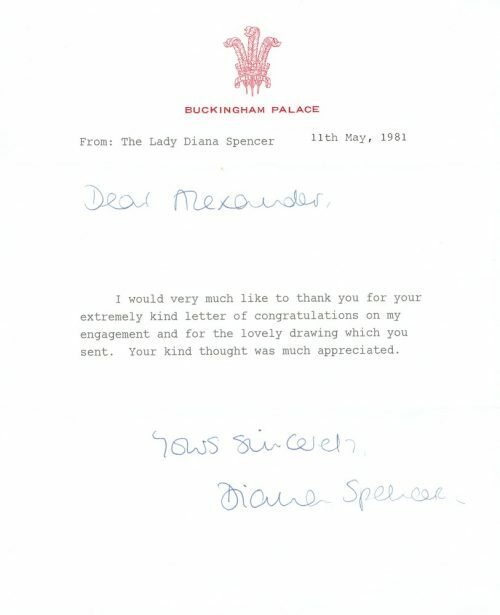 Signed `Diana Spencer` with original `ER` envelope. 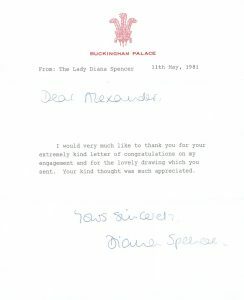 Royal documents with `Spencer` added are rare.